You may feel that it is not necessary to regularly clean your Solar Panels because you feel it makes no noticeable difference. Before Cleaning Output and After Cleaning Output. But that is not true because over time dirt and dust and bird poo etc does build up on your panels . This can act much like the shade of a tree hanging over your Solar Panels and inhibit their power output significantly. In the photo below you can clearly see how dirty your panels can get . We can help by cleaning them for you with our waterfed extension pole and brush. During Solar Panel Cleaning Barmera. We are able to clean them using only purified water, no detergents or chemicals are used. We have invested in a portable reverse Osmosis water purifier .We tap into the water source and pump the purified water up to the brush jetting it onto your panels and gently scrubbing them clean. 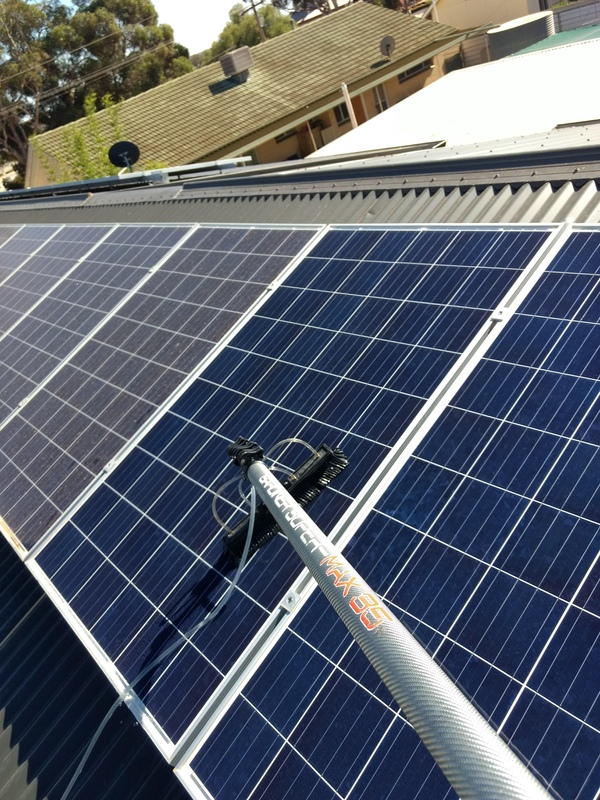 Watch the videos of how we do it below and contact Craig or Beate of Craig’s Cleaning Service on 0429845156 for your next Professional Solar Clean. Previous How Can I Get My Sliding Door Glass Clean Without Streaks or Smudges ? Next Does Having My Solar Panels Cleaned Make a Real Difference?